Energy Transfer investors are in another tangle. Pipeline partnership Sunoco Logistics Partners wants to buy Energy Transfer Partners for $21 billion, based on Friday’s closing prices. ETP’s parent, Energy Transfer Equity, tied itself in knots trying to buy rival pipeline operator Williams Companies last year, before walking away on a technicality. The sour reaction to the latest deal suggests ETP may also be headed for trouble. The companies – both of which are effectively controlled by ETE – argue that getting together will give them bigger scale and a broader geographical footprint. That could be an advantage considering the recent controversy over the ETP-owned Dakota Access Pipeline, which has been the scene of clashes between protesters and police. The industry as a whole also looks set to benefit from incoming U.S. President Donald Trump’s promises to build infrastructure and cut red tape, especially for traditional energy companies. If only it were that simple. In classic fashion for master limited partnerships, these two concerns are already heavily intertwined. ETP owns around a fifth of its would-be acquirer’s common units – the MLP-world equivalent of shares. It also exerts control over Sunoco through its 100 percent ownership of the general partner that mans and runs Sunoco’s pipelines. Sunoco lists itself as an ETP subsidiary in its SEC filings. Meanwhile, Energy Transfer Equity, which ended up with extreme buyer’s remorse with Williams and was only able to avoid having to follow through on that $33 billion acquisition thanks to a legal loophole, controls ETP though ownership of its general partner. ETE Chief Executive Kelcy Warren runs both ETE and ETP. But he needs the approval of other ETP unit-holders for the Sunoco transaction to go through. The initial reaction doesn’t look promising. Sunoco and ETP shares both fell nearly 10 percent shortly after the opening bell, pushing the deal value below $20 billion, before recovering some of their losses. ETE shares, meanwhile, rose a little under 3 percent, suggesting its shareholders may benefit the most from all the deck-chair shuffling. With the ETE-Williams debacle still fresh in investors’ minds, it looks like a bad omen. 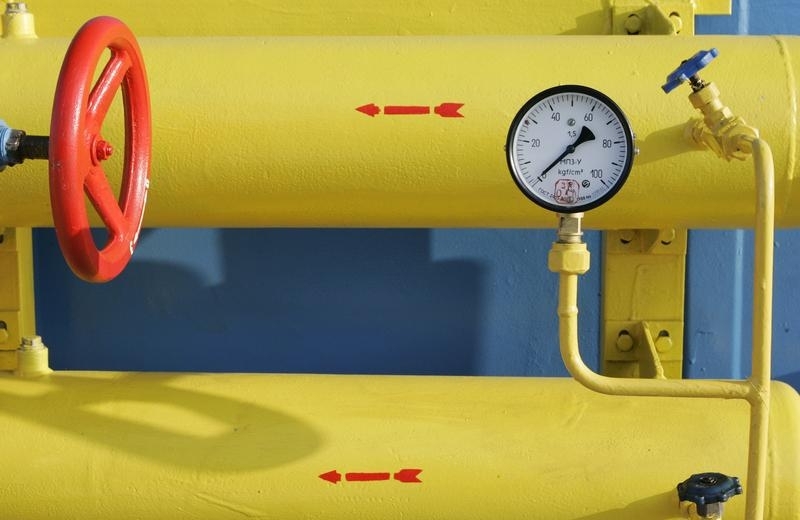 A pipe and pressure gauge are seen at a Ukrainian gas compressor station and storage facility in the village of Mryn, about 130 km (81 miles) northeast of Kiev December 16, 2008. Sunoco Logistics Partners and Energy Transfer Partners on Nov. 21 said that they have agreed to merge in a deal that values Energy Transfer Partners at around $20 billion, based on current share prices. Under the terms of the deal, Sunoco Logistics Partners will give ETP unit holders 1.5 of its common units for every common unit of ETP they own. Although Sunoco Logistics Partners is the acquirer in the transaction, Energy Transfer Partners already owns its would-be buyer's general partner, which is the company that operates the Sunoco Logistics Partners' pipelines. It also owns 100 percent of Sunoco Logistics Partners' incentive distribution rights, which entitle the owner to an outsized share of the cash flow generated by the pipeline partnership. Shares of Sunoco Logistics Partners fell over 10 percent in early trading after the companies revealed the deal, while ETP's shares fell nearly 10 percent. Shares of Energy Transfer Equity, a separate pipeline partnership that owns the general partner and 100 percent of the incentive distribution rights of ETP, rose 3 percent. Energy Transfer Equity in June walked away from a $33 billion deal to acquire rival pipeline operator Williams Companies.